This is a great way to keep the little ones busy! 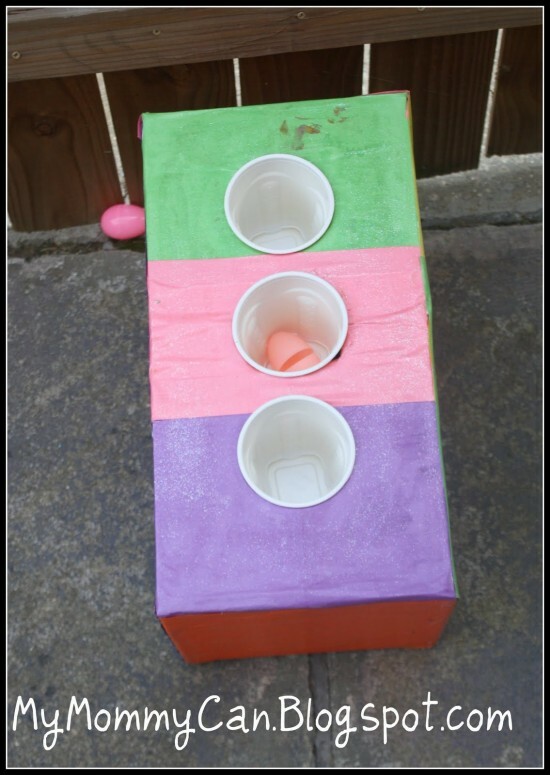 Whether it is a rainy Saturday, or a 4th of July party, your kiddos will spend countless hours playing this game! For added fun, you can add point values to the inside of the cups. With a Sharpie, add 10, 20, and 30 to the back of the cup, right under the rim. You should be able to see it when the game is tilted. The finished product will resemble my favorite arcade game: skee-ball. For a complete breakdown of how to construct your own throwing game, visit My Mommy Can.